Victor Vasilev’s Code collection for Boffi features exquisitely crafted washbasins with an aesthetic that plays on both modern and rustic sensibilities. Available at Focus Global. With its smoked oak covers, brass-toned aluminium accents, and innovative sound controls, Bang & Olufsen’s Beolab 50 speakers have a chic, futuristic look. Available at Living Innovations. Sinuous lines and natural movements, make the Clip armchair by m2atelier for Giorgetti a study in sophisticated simplicity. Available at Furnitalia. Contemporary designer Jasper Morrison plays up simplicity with his Monforte upholstered benches for Cappellini. Available at Studio Dimensione. These highly versatile Alcor storage units by Antonio Citterio for Maxalto are a practical and elegent addition to a home office. Available at B&B Italia. Gamadecor’s Emotions line of modular storage solution adds both elegance and serviceability to a modern kitchen. 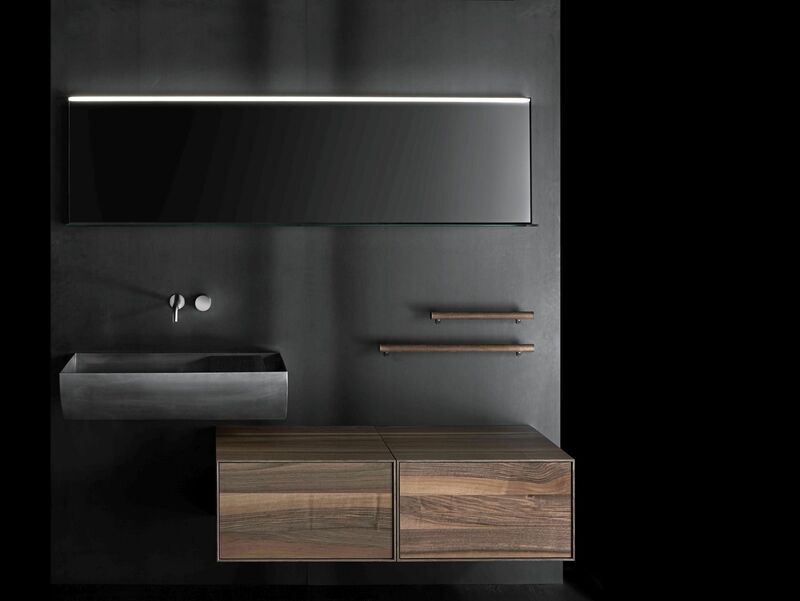 Available at Porcelanosa. Otherworldly in its appearance, Henry Bertoia’s classic Diamond chair serves as both seating and a decorative accent. Available at Knoll. Rather unusual in both appearance and construction, the honeycomb-style What’s the Point coffee table makes for an interesting conversation piece. Available at Dexterton. It may look like marble at fi rst sight, but Draga & Aurel’s Tactile sofa is a plush delight in leather. Available at Kuysen.